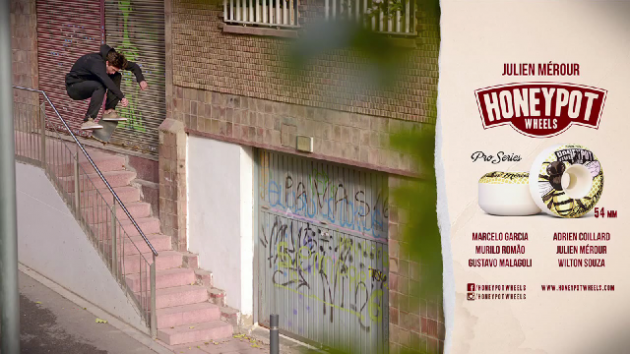 Honey Pot Wheels dropped this rad edit of Julien Mérour filmed predominantly in Barcelona to commemorate his new pro series of wheels. Shop some of that good ol’ Euro urethane Here. Last week a twelve year old almost made a 900′. 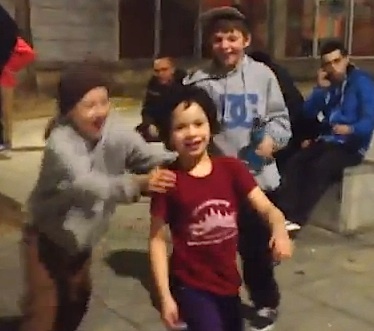 This week, a 7 year old London skater Finn Martin ollies the MACBA 3. Dan Wileman‘s legacy has been left in Barca’s playing fields. Here’s 10 tricks that he hucked out at the Forum Skate Park from 2012. If there’s one thing you are guaranteed from a visit to Barcelona, it’s San Miguel, Sunshine and Skateboarding. Raul Navarro, Sebo Walker, Javier Sarmiento, Jesus Fernandez and many more feature in this recent summer edit by Zack Mack. 3 Weeks In Barcelona from Zack Mack on Vimeo. 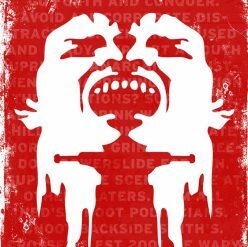 The independent skate DVD market is a lonely path to walk and anyone who decides to take it deserves your attention. I first heard about Skate Sauce via the odd internet clip or online forum post and my initial thought was that it sold skate wax. To be honest that’s not something I’m going to rush to the skateshop for and tell all my friends about when their DVD drops. However, I was wrong. It turns out that Skate Sauce is a skater-run operation that focuses on documenting, editing and producing skate videos and other media projects. The main man behind the viewfinder is Amrit Jain, a name that rang a bell, as he was one of the first filmers behind The Berrics video streams. Skate Sauce was launched in 2009 and Amrit took his little black book of Los Angeles skaters and international contacts to get to work on a video project by the homies for the homies: Hard Times But Good Times. HTGT reminds me of those early Tim Dowling or Daryl Grogan videos (Listen, Time Lapse) that focused on local Southern California scenes that mixed unsung heroes with the era’s poster boys. I might be wrong but there is a definite 90s-00s influence to this video with it’s focus of flat ground lines and ledge skating set to a soundtrack of Soul, Jazz and Rap beats. The modern take on afternoons spent on UCLA’s campus are evening sessions filmed at the Museum of Contemporary Art in Barcelona (MACBA). Amrit obviously spent a while in Spain and built a bridge back home with his camera and enthusiasm. The lesser-known talent of Justin Guillen (last part), Brett Sube and Matt Gottwig is matched with headline acts like Tom Penny and Vincent Alvarez. There is also a re-birth of San Diego pride with footage Shorties team riders and Skate Mafia alumni. Sammy Baptista, Jesse Siley and Peter Smolik share runtime with Jaime Palmore, Jimmy Cao and Wes Kremer amongst others. With such a wide range of riders on show and the loose editing style that blends chill lines with chill beats, I think HTGT would best be viewed on loop at the skateshop or after a long day in the streets at home with a brew or a buzz. Trying to digest the full 60 minutes before going skating could have the opposite effect and make you drowsy. If you’re looking for a quick fix, I suggest you enjoy the 7 minute opening section from Vincent Alvarez who rushes into spots at ambidextrous high velocity. Or Julien Guillen’s last part which showcases his technical skills and ability to skate anywhere with style and confidence (Note the bonus game of S.K.A.T.E. where he takes Jesus Fernandez to the edge). Tom Penny skates Barcelona asleep at the wheel and despite being exclusive footage of the legendary Brit, you kind of feel like you’re watching a pro on holiday in other words don’t expect any major stunt work. If you are a fan of 90s-00s era skating and keen to keep up to date with the latest Southern California (and MACBA) talent then this video is for you. If you prefer something with a bit more pace and thrills then I suggest you take a look and move on. However, I must accentuate that Amrit Jain and the Skate Sauce crew have done really well in producing and putting out an independent skate video when the market trend would advise heavily against such a heartfelt move. Watch the lost tapes of Sebo Walker that was released yesterday below. Some offucts from the full length that is being taped together by Elliot Tebbs right now has hit the web. Enjoy this footage of Lloyd Mcleggon, Harry Squires, Will Golding, Craig Smedley, Dale Starkie and Liam Palmer in Barcelona as a teaser of what’s to come. 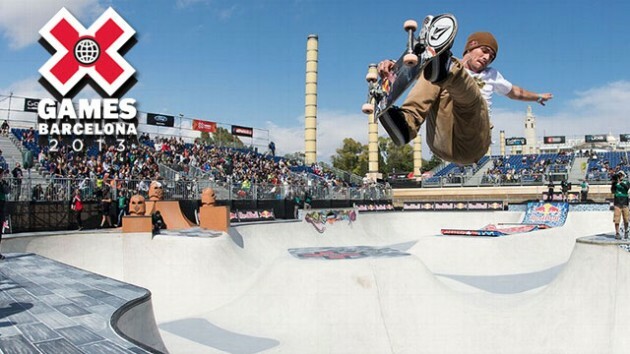 Flip’s Lance Mountain flew over to Barcelona to help dig out an old 70’s skatepark that was buried for years. Share the joy after the mammoth work that went down here. Exeter’s Barney Page continues his incredible journey of skateboard success in his trademark shorts for RVCA this week. This new edit features footage of him skating spots in London, Barcelona and more. Get on this. Burgess Hill’s Dave Wallace has sent us an update from his new home of Barcelona where he resides these days. As you can see, he still loves a ledge and a bit of flatland, has an addiction to coffee plus is it me or has he picked up a bit of the old Steve McClaren on his travels too? !